If you eat the chocolate fondue before dinner, is it considered dessert or an appetizer? Just asking…. 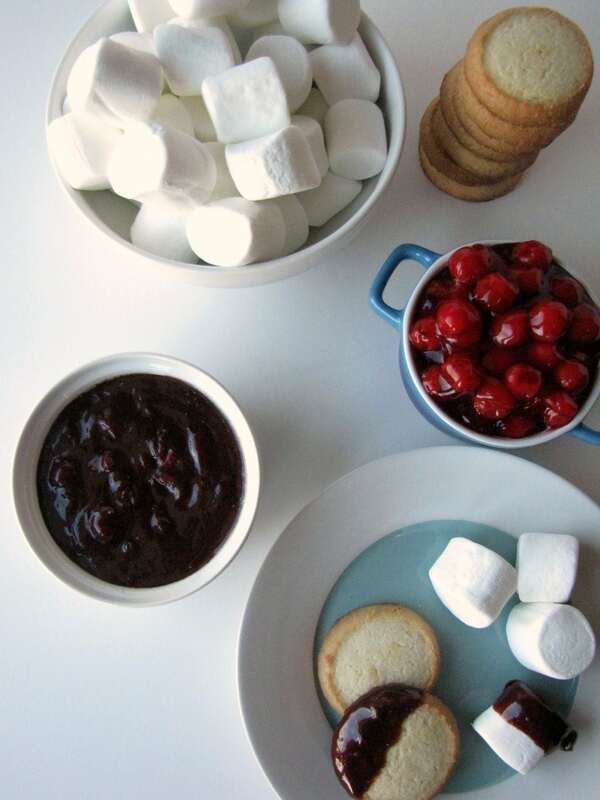 😉 If it’s Crock Pot Chocolate Cherry Fondue why not have it for both?!? Double the batch if you’re hosting a crowd or just make this up in your mini dipper for an easy treat for your family any night of the week. You could even make it during the middle of the day and then hurry up and eat it all before your daughter wakes up from her nap and wants you to share. I’m not saying I know this from experience, just laying out possibilities. Hey, I’m not going to judge you if that’s something you might do. Lots of different dipping options here! 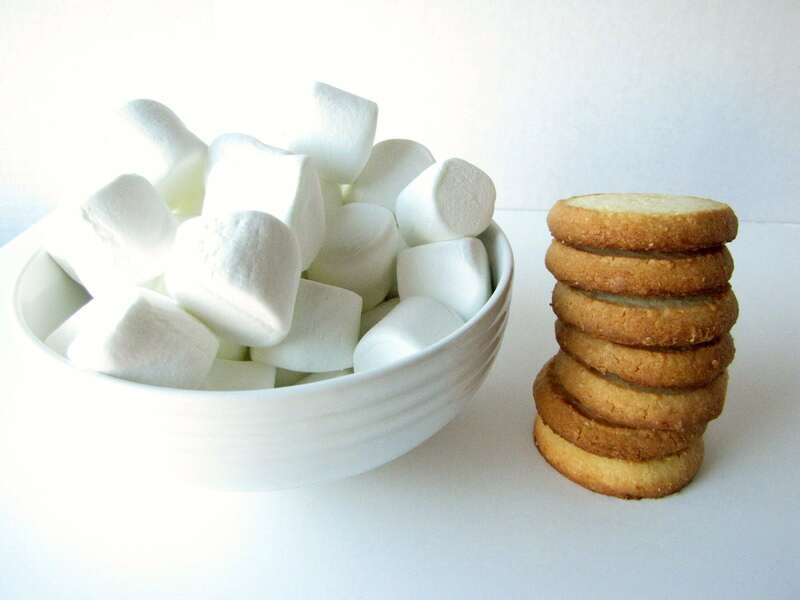 You could go with marshmallows and shortbread cookies like I did. Bananas, graham crackers, pineapple – the options are endless. If you use fruit then I’m pretty sure it counts as healthy. Mmm. My sweetheart loves chocolate covered cherries. I’m thinking – why not put this over vanilla ice cream? 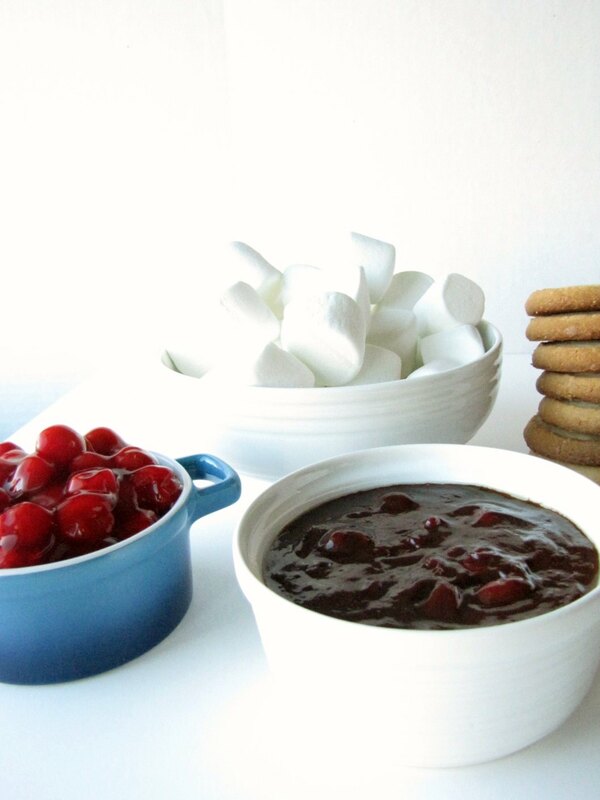 Frozen, hot, chocolate, cherries… nothing there not to love! Thanks for the recipe! I like the way you think!! Brilliant! !